Nine and Southern Cross have announced a 5 year affiliation agreement, ending a long-term partnership with WIN Television. The deal from July 1 sees Southern Cross broadcast Nine content into its markets in Queensland, Southern NSW and Victoria. Nine has secured a fee of 50% of SCA’s TV revenue -Nine currently received 39% of WIN TV revenue, but could not secure a higher deal from WIN. The deal sees the end of a 27 year affiliation between the two broadcasters from June 30, following a tenuous relationship of late. Yesterday WIN lost a courtcase with Nine over streaming rights into its markets. Both extended their current affiliation deal until the end of June, after failing to agree to new tersm. Nine CEO Hugh Marks told a senate committee Nine was not interested in buying a regional broadcaster. Marks and Southern Cross CEO Grant Blackley are close, together they owned talent management agency RGM Artists. WIN has previously been reported as having talks with TEN management about a new affiliation deal. Billionaire mogul Bruce Gordon owns around 15% of both Nine and TEN. 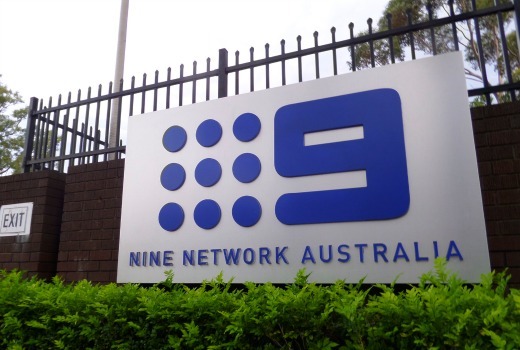 Nine Entertainment Co. (Nine) (ASX:NEC) and Southern Cross Austereo (SCA) (ASX: SXL) have today announced the signing of a new regional television affiliation agreement. The five year agreement will see SCA broadcast Nine’s metropolitan free-to-air television content into regional Queensland, Southern NSW and regional Victoria from 1 July 2016. Under this landmark agreement, the SCA channels will carry Nine’s branding and broadcast its premium Australian and international content including The Voice and The Block, as well as all NRL and Cricket broadcasts, providing a seamless Nine brand across metropolitan and major regional markets. SCA will pay Nine an affiliation fee of 50 per cent of its television revenue. As part of the new affiliation deal, Nine and SCA have agreed to work together on a number of opportunities to mutually grow their businesses. The agreement provides for a substantial expansion of news services broadcast by SCA. Nine’s market leading News bulletins featuring international, national and locally produced news will be broadcast to regional markets across Queensland, Southern NSW and Victoria. As part of the arrangements, SCA will provide national sales services for Nine’s NBN channel in Northern NSW and NTD9 in Darwin. This will provide advertisers with a centralised port of call for their regional advertising on Nine’s content across the entire Eastern seaboard. The more I think about this the more I conclude that this is purely a business story for the big end of town. The effect on viewers will be negligible. Memorising different channel numbers and maybe seeing “Family Feud” on WIN at a time other than 6pm (they may even relegate it to GEM), but that’s about it. On ONE, not GEM. That’s where they’ve shifted ACA to so they can accommodate WIN Local News at 7pm. GEM will be with SCTEN. WIN Local News back at 6pm between TEN News and The Project. Nine wasn’t bluffing. The ball is now in Bruce’s court. For WIN, 61% of 10’s 18% is worth less than 50% of 9’s 27%. WIN now have to deal with the Murdoch interests. SCA has the problem of 9Live streaming. And viewers simply push a different button on their remotes. Bruce and Rupert have been mates since 1979 when Rupert sold WIN to Bruce so he could buy TEN-10 and ATV-0. Now that TEN has lost quite some tens of millions of $ in yearly affiliation fees that knocking you hear is TEN at WIN’s door, resuming the talks they’ve been having for months. Might be the trigger to close WINs news studios? Remember those adverts “Save our voices”? Hi David , i am still a bit confused , SCT will carry all transmission for 9, for “all” of Australia ? even WA,so it would be something like SC10 / SC9 / SC7 now , ( with what ever watermark/logo ) for all of Australia? if WIN does not have an output deal , whats left for them in television, or is that the point, there is nothing left ? There are 3 states named. WIN has had conversations with TEN, so we should expect to hear more. Not everything can be answered at this time. Goodness me, as the story says – first line – “Queensland, Southern NSW and Victoria”. Not Northern NSW, not Tas, not SA, not WA. The only way regionals will survive this is to turn around and buy the network. I agree. Prime, NBN and SCA have a limited life span. WIN will be ok only if it buys 10. NBN is already a Nine O&O station. In fairness to WIN this was only announced very late on the Friday of a long weekend. This was a tactic. This announcement was from Nine and Southern Cross. TEN didn’t make any announcement either. Consider that perhaps TEN and WIN found out via the media release too? TEN had it on their 5pm news Friday… my inside info is that WIN executive found out earlier Friday and still said nothing…. It would not have been wise for WIN to have made any announcement regarding two ASX-listed companies, TEN and Southern Cross, until they made public announcements themselves. 24 hours a day of old Crawford programs on WIN lol. It would probably rate as well as One/Eleven currently do!! Imagine it, a 24/7 old Crawfords shows channel and a non-stop Alive and Cooking channel. oh lovely. we just get HD with WIN now we have to wait if at all southern cross will ever convert to HD or will the 9 feed be in SD once again? Southern Cross Ten already transmits in HD. Its Channel 50, branded as ‘ONE’. Like 7, its the primary channels still in SD. Is there some kind of law that states that channel 10 require to be aligned to a regional network in order for their content to be shown there? If not, does it really matter if Southern Cross is now with nine? Do ten have to make a deal with Win in order for their programs to be shown in regional areas or can they, you know, just show their stuff on their own channels there? I’m confused, as do a lot of other people seem to be. Wasn’t “aggregation” a Federal Government requirement so regional viewers would get the same TV as the Cities? So where will the Government fit in with all of this? Regional viewers will still get the same as they are receiving now. The only change is – to watch TEN programs press 8, instead of 5. To watch Nine programs press 5, instead of 8. Nothing is changing re programs in regional areas (well minor changes to accommodate WIN Local News, probably at 6pm, moving FFeud to 11 or One. WIN already has ACA on GEM to accommodate local news). Why would the government have any interest? You’re right, they wouldn’t, unless WIN and TEN don’t do a deal. Unlikely, but it hasn’t been announced. TEN can’t afford to sit back and loose some tens of millions of $ annually by not selling programming to WIN. SCA are hurting with poor ratings on radio plus the loss of Kyle and Jackie O not to mention the death of the UK nurse affair. I said it months ago a WIN / Ten alliance has merits. It has been coming and it’s no surprise Nine want more. I reckon WIN have done a deal with Ten prior to this announcement. Nine is just getting in 1st. Now… David, help me here… When did I say this would happen? Around Dec 29 I think… Geez I wish you could put money on these… I would have cleaned up!